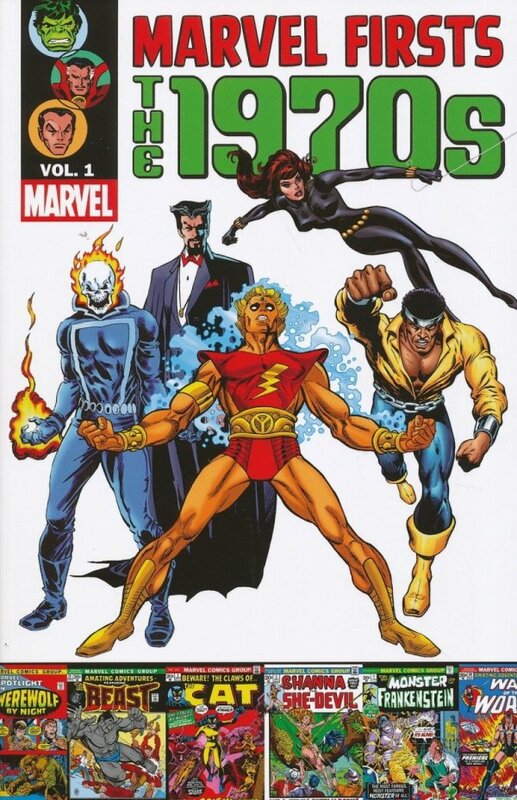 When the swingin' seventies exploded on the scene in all of their grandiose glory, Marvel Comics was there to welcome them with a host of new characters and titles! 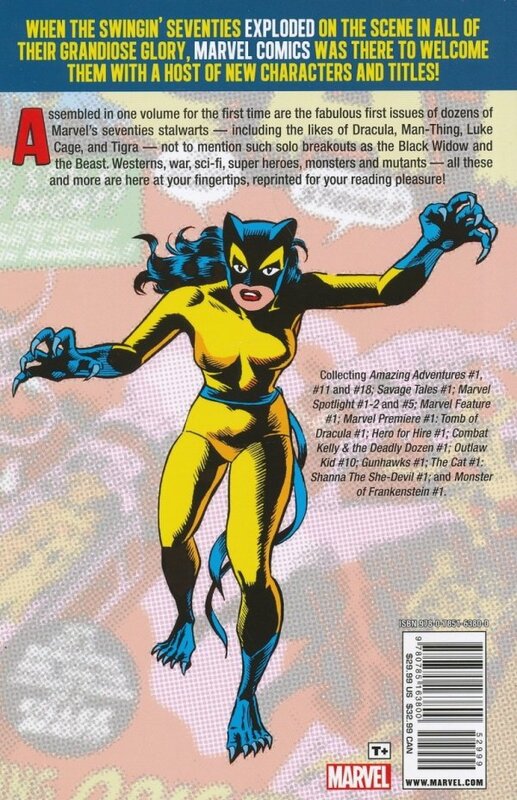 Assembled in one volume for the first time are the fabulous first issues of dozens of Marvel's seventies stalwarts - including the likes of Dracula, Man-Thing, Luke Cage, and Tigra - not to mention such solo breakouts as the Black Widow and the Beast. Westerns, war, sci-fi, super heroes, monsters and mutants - all these and more are here at your fingertips, reprinted for your reading pleasure! Collecting AMAZING ADVENTURES (1970) #1, #11 AND #18; SAVAGE TALES (1971) #1; MARVEL SPOTLIGHT (1971) #1-2 AND #5; MARVEL FEATURE (1971) #1; MARVEL PREMIERE #1: TOMB OF DRACULA #1; HERO FOR HIRE #1; COMBAT KELLY & THE DEADLY DOZEN #1; OUTLAW KID (1970) #10; GUNHAWKS #1; THE CAT #1: SHANNA THE SHE-DEVIL (1972) #1; and MONSTER OF FRANKENSTEIN #1.